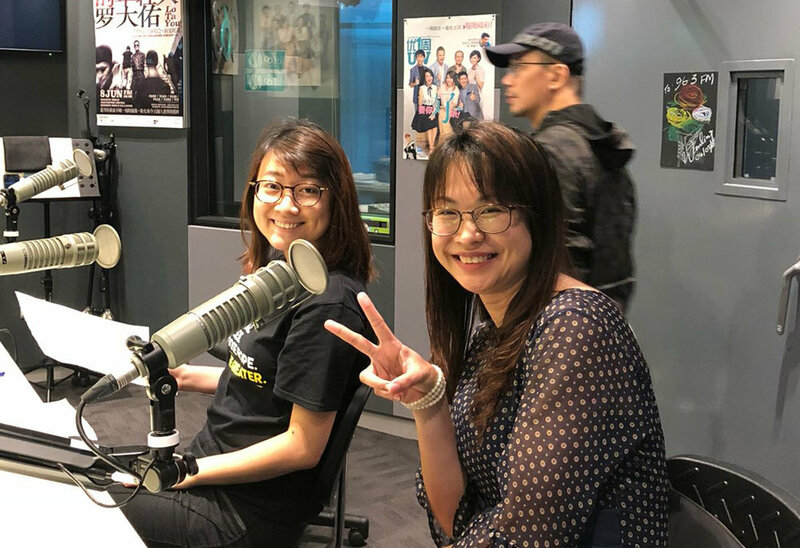 Blossom World Society is honoured to be invited to live radio interviews on FM96.3 with the Singapore Kindness Movement (SKM) on 5 July, 《早安好人帮》with DJ Jingyun and Jieqi & Capital 95.8FM and on 6 July - 《新闻深呼吸》with DJ Qi Qi and Feng Jianbin on SKM’s new 2018 campaign, The “Be Greater” Movement (“Be Greater”) challenges Singaporeans to go beyond random acts of kindness and contemplate on our individual and collective characters and values. Everyone has the potential to become a better and greater version of themselves, and Be Greater calls on everyone to do just that, no matter which social group we belong to. It aims to redefine kindness as a nationwide identity and value. Therefore, every individual living on this land has a role to play to make Singapore a great place to live in. Blossom World Society aims to inspire a young generation which makes meaningful contributions to the society and country. We have a great working relationship with SKM and strongly support Be Greater as Kindness is one of our core values that we wish to cultivate in everyone. Here are some thoughts by Ms Jennifer Goh on the movement: "In addition to aiding our personal development, we feel that Be Greater also broadens our personal horizons, heightening our awareness towards our surrounding environment. Hence, we can “Be Greater” in our daily interactions and communications with others. Chee Wen Qi, Assistant General Secretary of Singapore Kindness Movement shared: “Be Greater seeks to expand a mere act of self-reflection to a discussion on a national level. Important national discussions generally revolve around topics like the Gross Domestic Product (GDP) which is a key indicator of a part of the economic aspect of a country’s progress. However, when we look at progress in totality, other than monetary achievements, practicing kindness is vital in ensuring that the harmonic relations among every citizen living in the country is even more tightly-knitted. Hence, Be Greater aims to enable all Singaporeans to become better versions of themselves such that they have the capacity to render meaningful assistance to those in need, spreading and sustaining positivity all around us. We hope that through the performing acts of kindness, a longer lasting form of positivity is generated in the lives of everyone. May this sharing motivate listeners to strive to become better versions of themselves and to possess a heart filled with warmth. A gracious society begins with an individual’s choice to be kinder than they think they are. Be kind. Be greater. Do stay tuned for our updates and we look forward to have you to join us in our upcoming events / sponsor a campaign.